How did you first get involved with the museum? 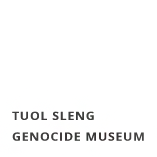 Tuol Sleng Genocide Museum is a historical memorial site about the Khmer Rouge period. The Khmer Rouge used this former high school to cruelly detain, interrogate, torture and kill many people. Many visitors from around the world visit the museum. I have skills related to tourism and I like to learn about history. 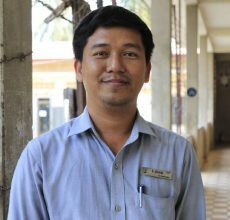 It is important to tell the history of the Khmer Rouge period so people understand about the crimes they committed and to prevent this experience from happening again in the world. What is most challenging about working as a guide at the museum? 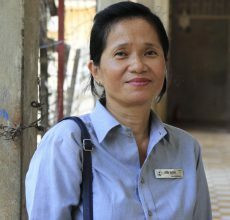 Tuol Sleng Genocide Museum is a very sad place for visitors but also for the staff. It is not easy for me to work here. It is emotionally very hard to tell people the story about the crimes that happened here during the Khmer Rouge era, a lot of visitors feel sad and shocked when hearing about the cruelties. But it is important for me to try my best to share this history with visitors, especially with the younger generation. Being a tour guide is a good job. I meet a lot of new people every day from many different countries. 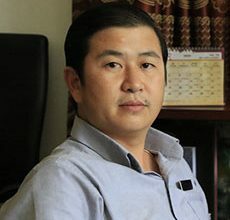 I am able to share the history of the Khmer Rouge time with the world, and with Cambodia’s young generation especially, so we can get more understanding on how to prevent these crimes from happening again. Tell us about one of your favourite museum experiences. I meet a lot of visitors each day. I give a lot of information, and they ask a lot of questions. I dialogue in a very friendly way with visitors. I try my best to explain the history of the Khmer Rouge time, and they also share their ideas with me. They often tell me they admire me for working here to share the history of Khmer Rouge. They admire me because, even if this is a place full of sadness, emotion, and stress, it is an important memorial place for people to learn and remember.